Marketing efforts for two environmental education exhibits at Mote Aquarium won multiple HSMAI Adrian Awards, a top honor in the hospitality and tourism community, during a Jan. 22 ceremony at the New York Marriott Marquis. 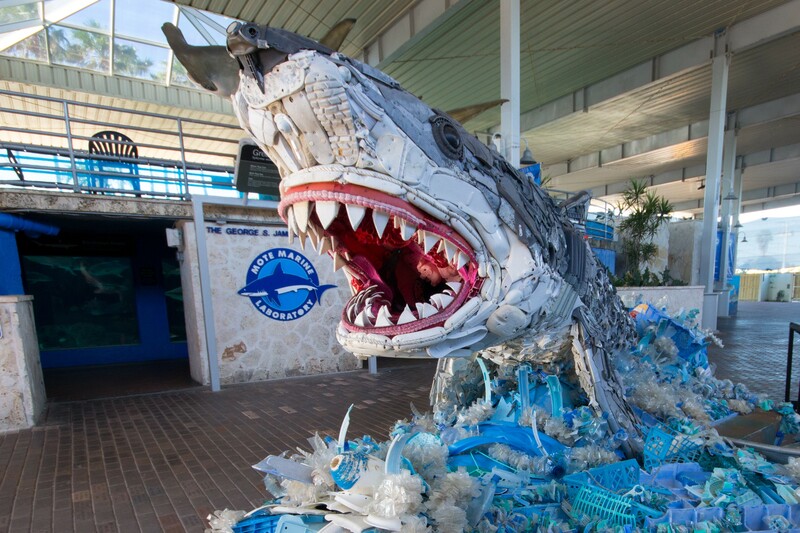 Mote Marine Laboratory & Aquarium in Sarasota, Florida, partnered with St. Petersburg-based Paradise Advertising and Marketing, Inc., on award-winning ad campaigns for two educational exhibits: “Sea Debris: Awareness through Art,” which focused on reducing marine trash, and “The Teeth Beneath,” which features alligators and related species while encouraging stewardship of their watershed environments. Now it their 62nd year, the Adrian Awards recognize hospitality brands and agencies for creativity and innovation in advertising, digital marketing, and public relations. Winners can receive bronze, silver, gold, platinum and best of show.